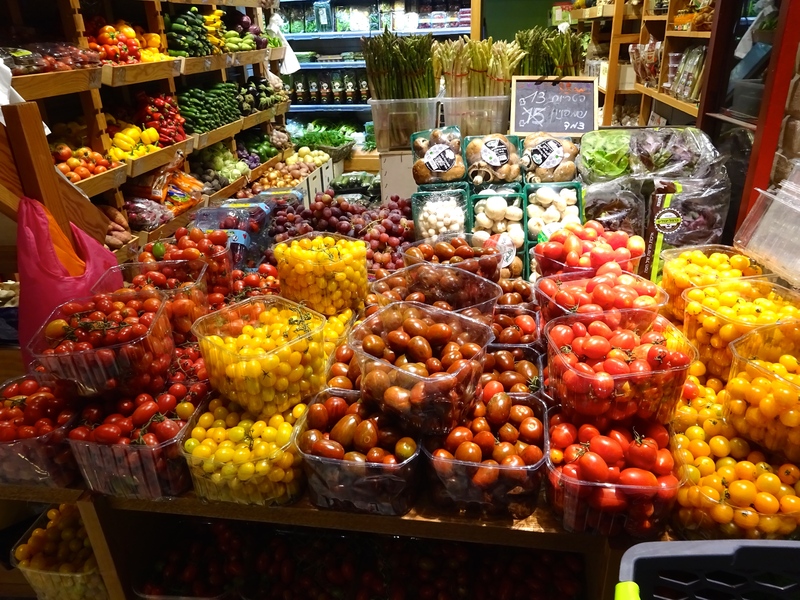 Israel is said to be the most vegan-friendly country worldwide or at least the country with the highest percentage of vegans living there (see among others http://theculturetrip.com/middle-east/israel/articles/tel-aviv-s-top-10-vegan-restaurants/; in German: http://www.faz.net/aktuell/stil/essen-trinken/warum-israel-das-veganste-land-der-welt-ist-13812715.html), with Tel Aviv as the main city to go for quite a choice of vegan delicacies. Wanting to explore this and having heard from all sides what a great place Tel Aviv should be, I figured it was time to visit. I also finally wanted to take a picture with the wings… (https://www.facebook.com/People-With-Wings-336944452982358/). 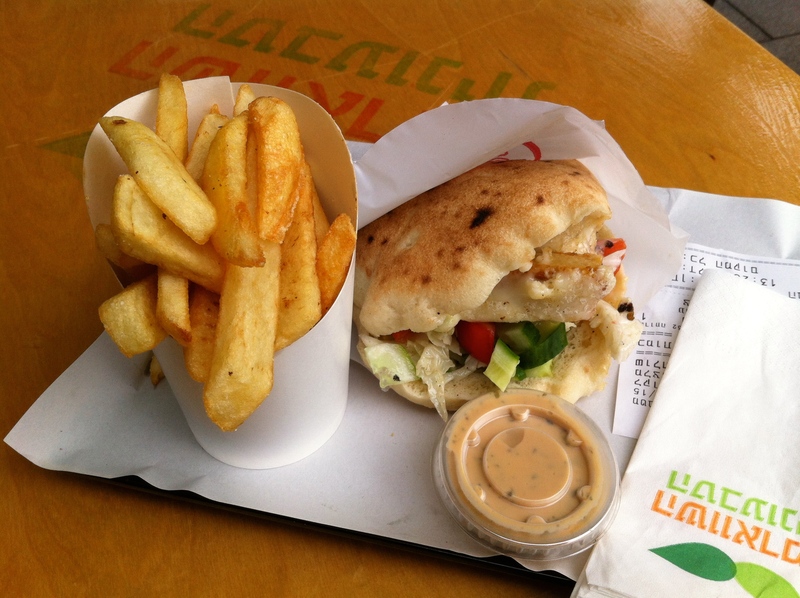 Only a bit further down the road, you find HaShwarma HaTzemchonit (King George 81, http://www.vegshawarma.co.il; I find it under all sorts of different versions of that name, and absolutely no idea what it all means…), a vegan fast food joint. They serve different kinds of burgers, schnitzel and shawarma using seitan along with french fries, onion rings and salad. I tried a schnitzel cheese burger, even though I should have known better, since fast food simply isn’t something I particularly enjoy. And no, I didn’t like it that much… But I guess for fast food, it’s not too bad. The thousand island sauce that came along with the fries was quite nice. 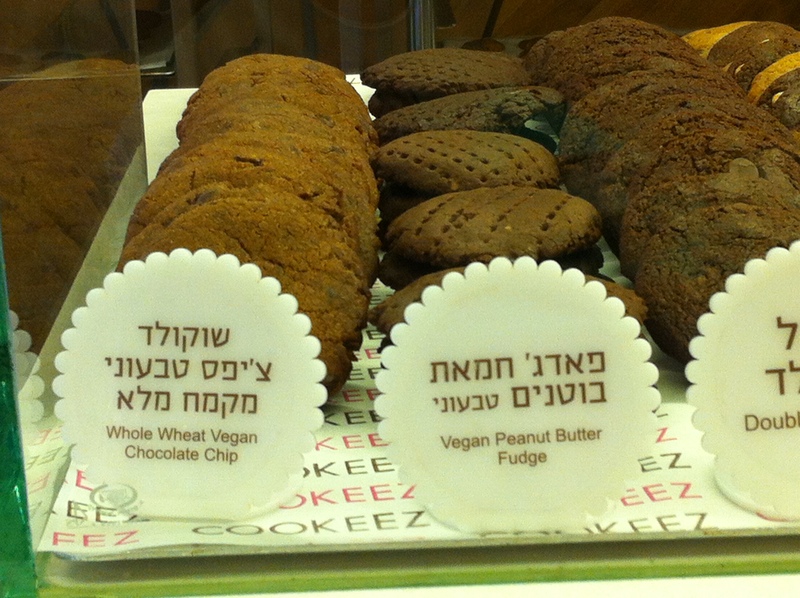 Considering all the many vegan options Tel Aviv has on offer, I wouldn’t settle ever again for this though. Here, and also in other places all over Tel Aviv, you find Mr. Donut’s donuts (https://www.facebook.com/israeldonuts) that apparently are all vegan. 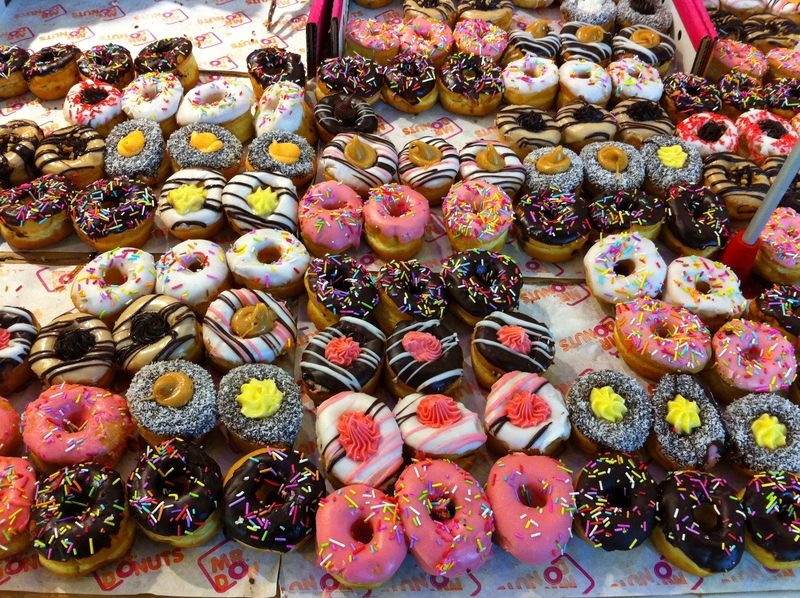 I haven’t tried them, since donuts are not really my thing, but, at least from the outside, they do look quite tempting I must say – or at least beautifully colourful. 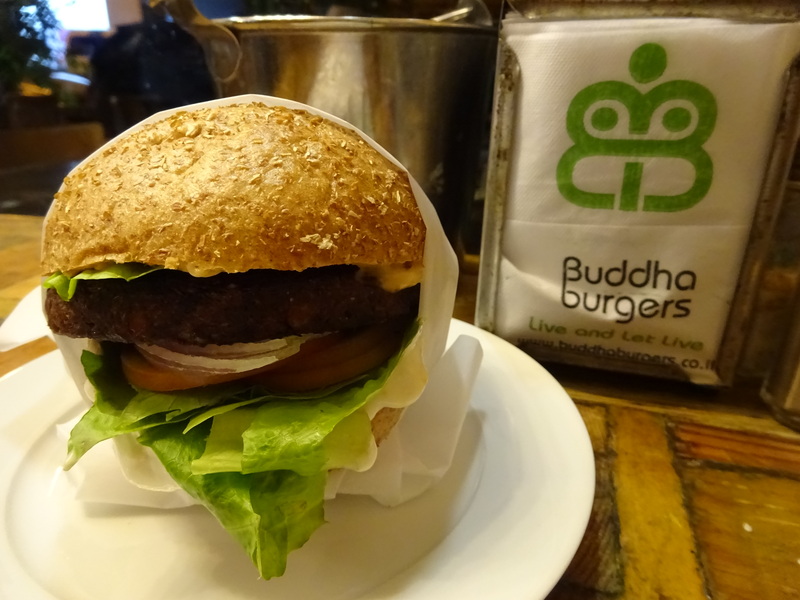 Another fast food joint is Buddha Burgers (Yehuda Halevi 21, http://buddhaburgers.co.il/new/english/) who has a large choice of all sorts of fast food – and they are offering it in a pretty counscious and healthy way. You can f. e. order their burgers with a gluten free bun or without bun and on lettuce and sprouts instead. Their menu provides a lot of information on nutrients and such. 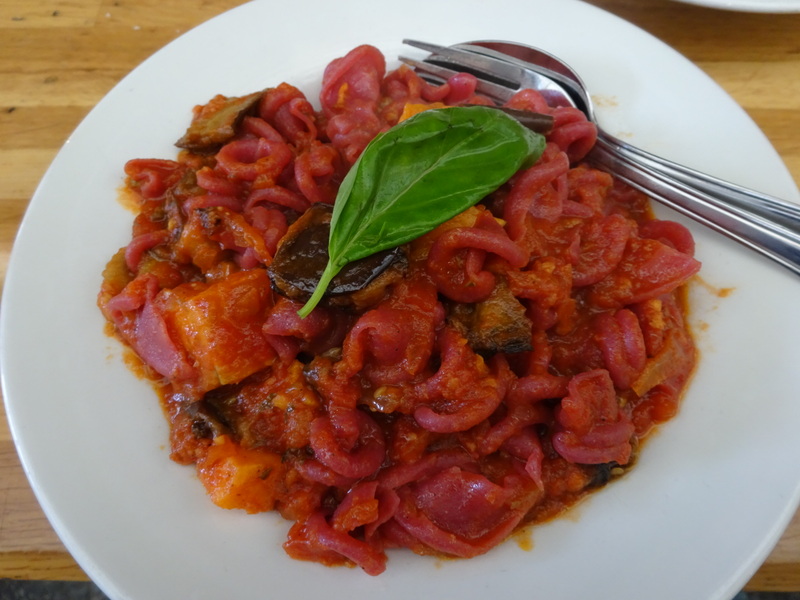 Nanuchka (Lilenblum 30, http://nanuchka.co.il/en/) is another quite well-known vegan restaurant serving Georgian food. It’s worth looking around before choosing a seat right at the entrance. There are some quite nice options in the back and garden. Since I wasn’t too hungry the first time I visited, I tried the a plate with different salads (Pchalli), which was more than enough and definitely something I hadn’t had before. The whole menu looked very foreign to me, since I’m apparently very unfamiliar with the Georgian cuisine. 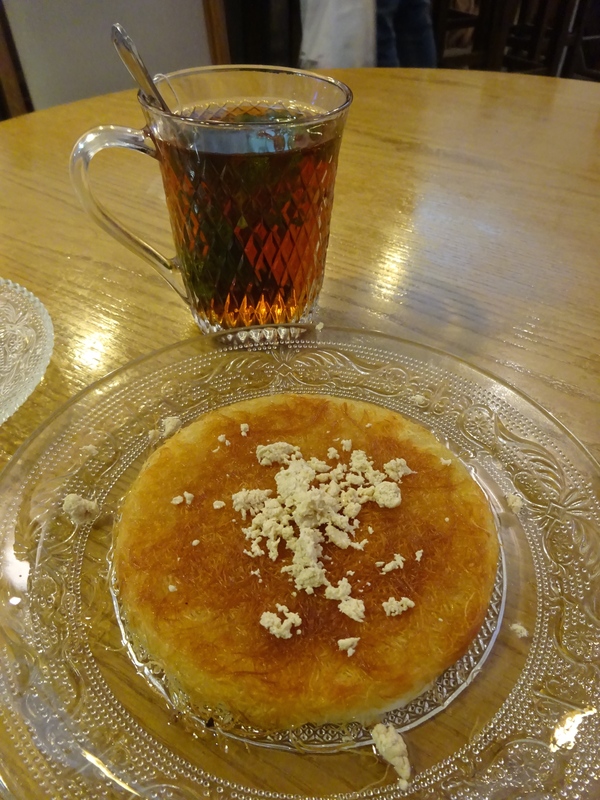 I went again later with a friend, when we tried the Auberginshvilli (roasted eggplant on tahini sauce), Imaruli Hachapuri (pastry filled with spinach, soy cheese, tofu, fresh onions and dill), Malabi (a rose-scented „milk“ pudding – I love it!) 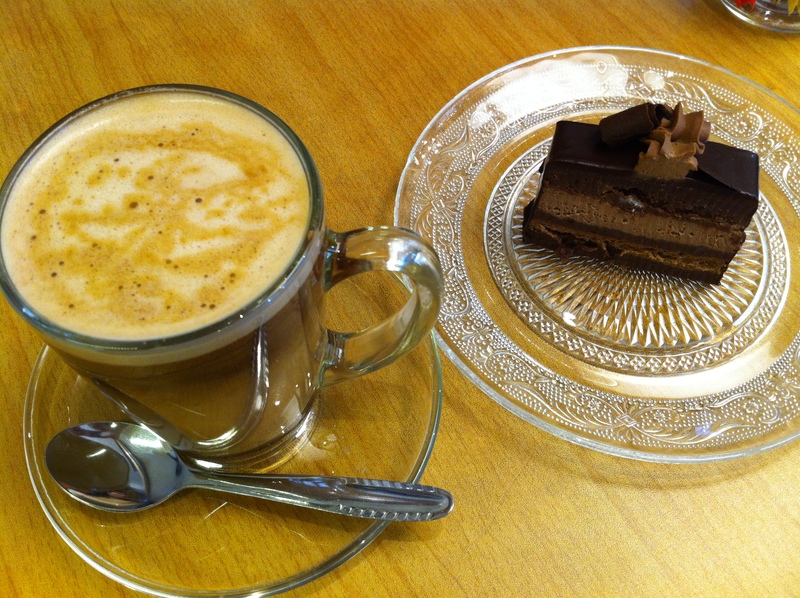 and the Dorado (chocolate truffle in four layers). Anastasia (Frishman St 54, http://www.cafeanastasia.info; unfortunately in Hebrew only, but this might give a bit of an overview: http://timeout.co.il/en/food-and-drink/anastasia1) wasn’t too far away from where I was staying at, so that I went there quite a few times. 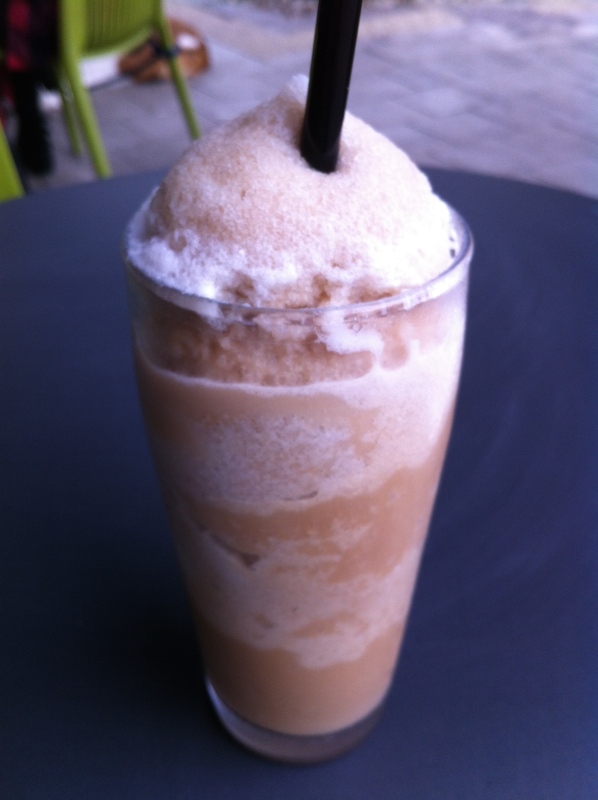 They use lots of superfoods in their drinks and dishes and they offer several home-made alterna-milks. 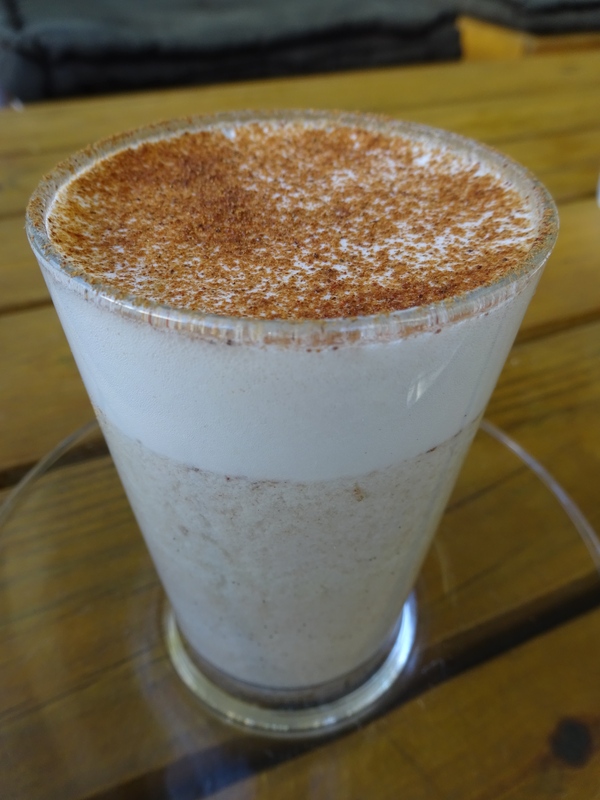 I especially liked their choice of drinks such as their home-made almond milk with cinnamon and dates and their cozy lounge at the entrance. 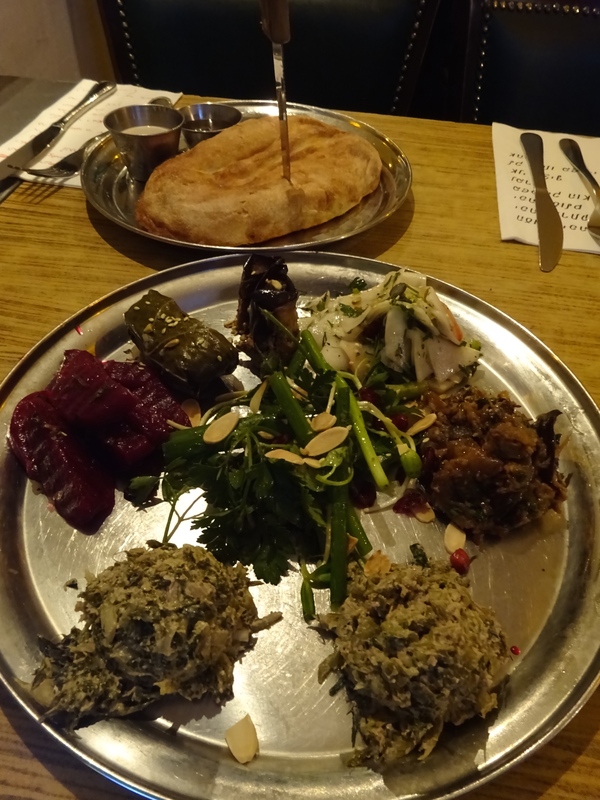 Market (144 Dizengoff St, http://www.happycow.net/reviews/market-seasonal-cuisine-tel-aviv-55896) is another vegan eatery that’s probably one of the cheapest around. 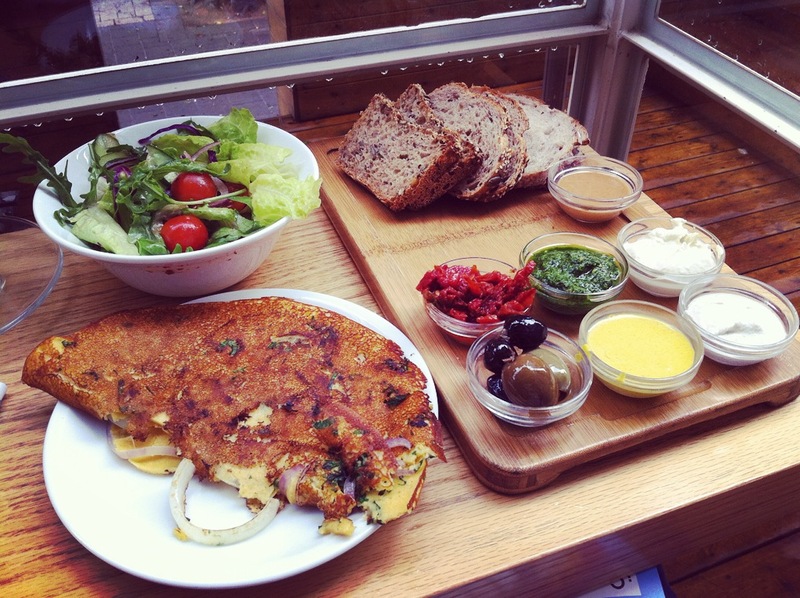 They offer only a choice of dishes from their menu, which changes on a daily basis. 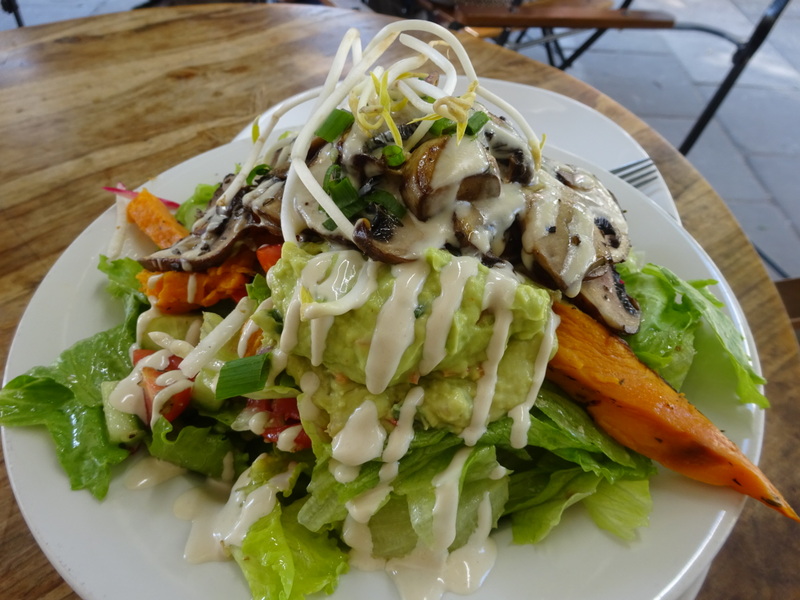 I had some salad with avocado, pumpkin and mushrooms. 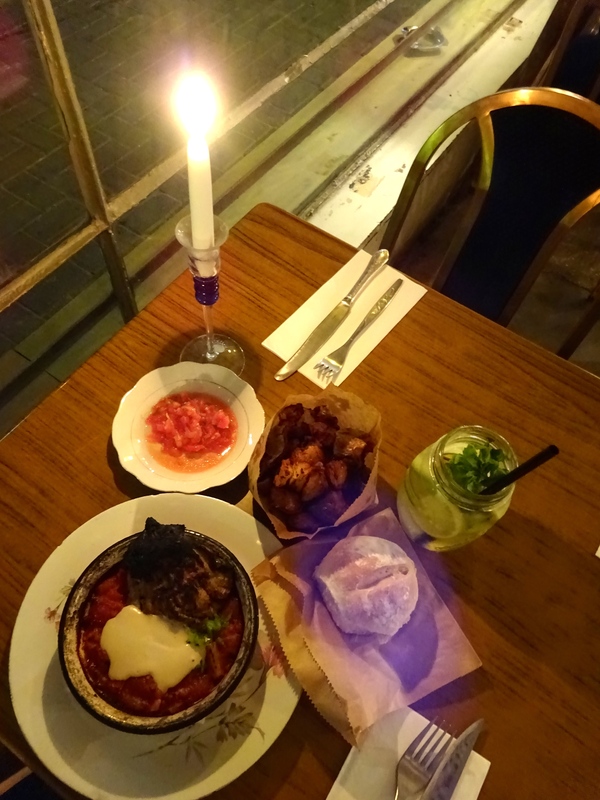 Zakaim (Simtat Beit HaSho’eva 20, http://zakaim.co.il) is one of the main vegan places in Tel Aviv that is rather expensive though. I would love to be able to consult their webpage in order to be able to write more about it, but the one in English doesn’t seem to be available. If I remember correctly, they serve Iranian cuisine – just another cuisine, I’m not familiar with. 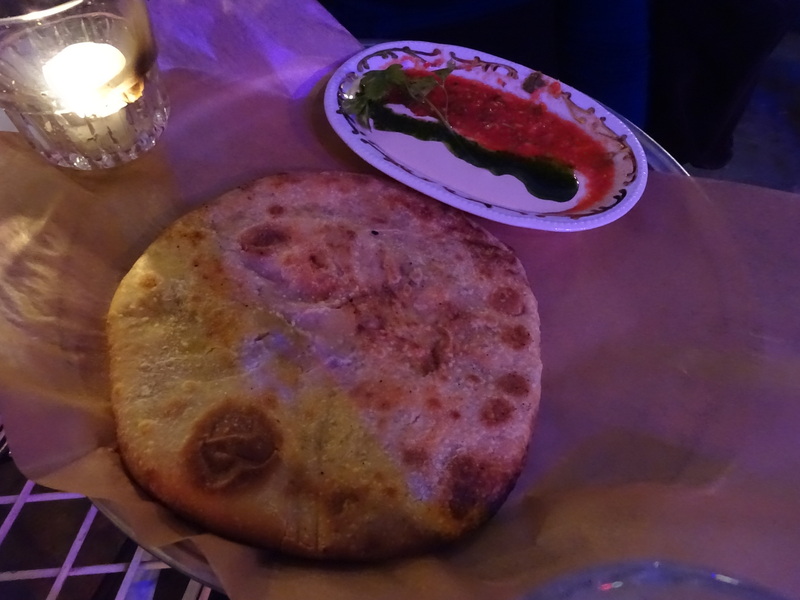 I had once more some roasted eggplant, Persian soda and hand-torn potato fries that were quiet greasy, but very nice. 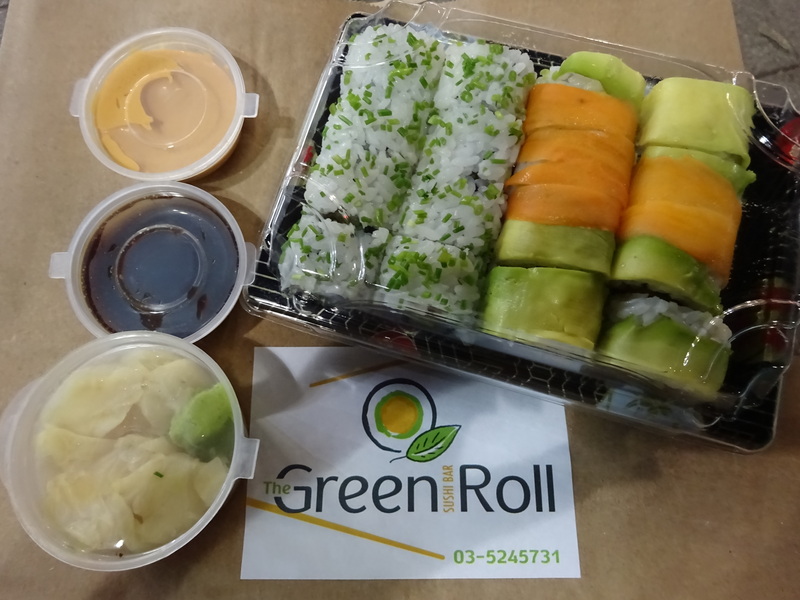 Not far from it is The Green Roll (Montefiore St 30, http://www.thegreenroll.co.il), a vegan sushi place. They don’t have a menu in English, but seem to have quite a choice of different sushi combinations. I wouldn’t say it was the best sushi I’ve ever had, but it was quite nice to be able to go to a sushi place without having to look at mainly raw fish everywhere. 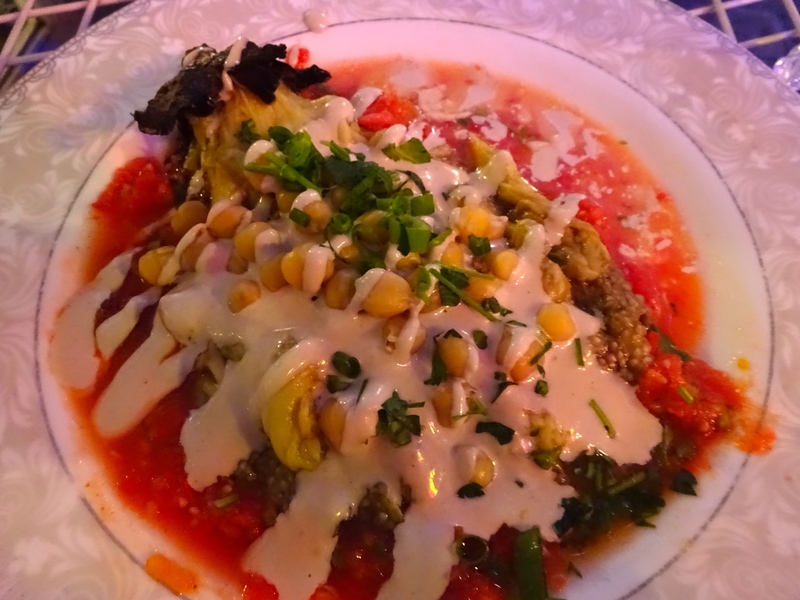 Another well known vegan restaurant is Meshek Barzilay (Ehad Ha’am 6, http://www.meshekbarzilay.co.il; https://meshekbarzilay.wordpress.com) in Neve Tzedek, an area definitly worth exploring. 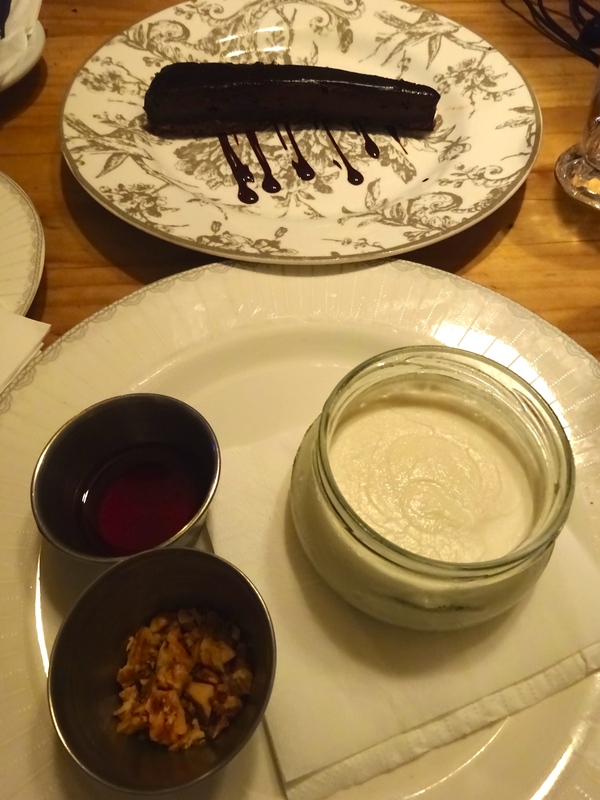 The restaurant and the food I saw being served looked very nice, but I decided to eat somewhere else, since they mainly serve Western dishes (or rather the cuisines you find in most places) and I felt more like exploring different cuisines. 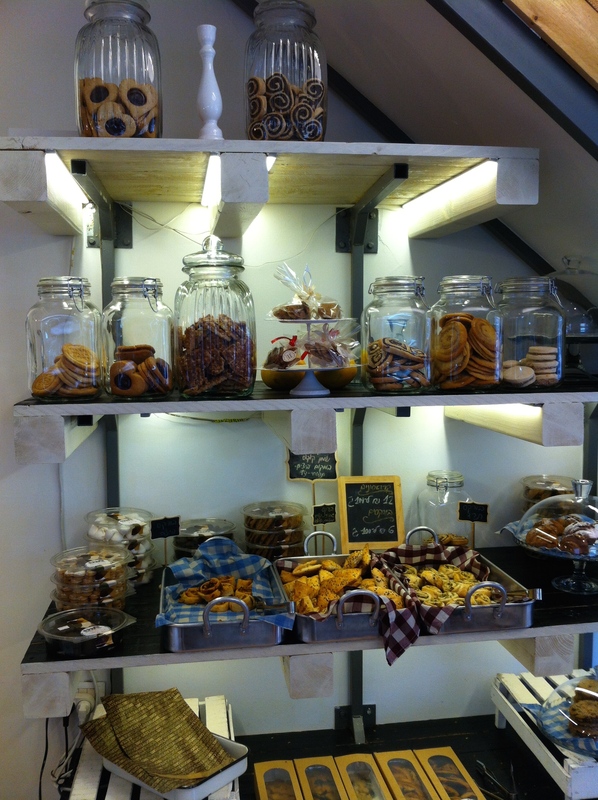 Nearby is also Knaffe Noga (Ruhama St 7, https://www.facebook.com/knaffe.banamal), a coffee place where they serve…knaffe 🙂 (for an explanation check out this site: http://www.spottedbylocals.com/telaviv/knaffe-noga/). Be careful when you order tea: In most places they will serve you black tea with f. e. fresh peppermint leaves added (if you order a mint tea). So if you don’t feel like having black tea, tell them. 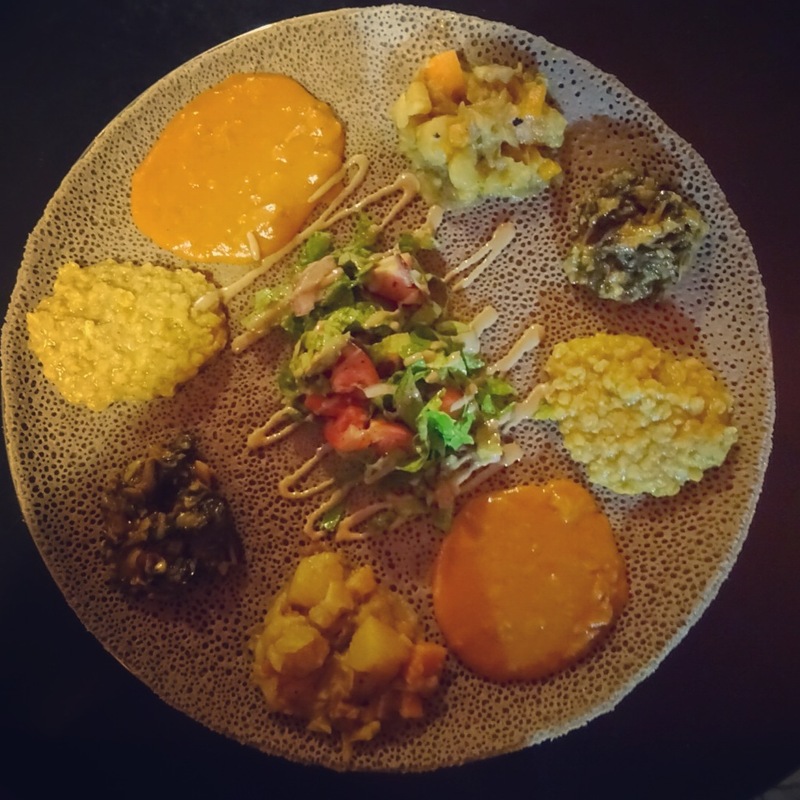 A good place for a cheap set meal is Tenat (Chlenov St 27, https://www.facebook.com/tenatvegan/app/117784394919914/), where they serve Ethiopian food, which I love. I just went there one evening all by myself and didn’t feel threatened at all. 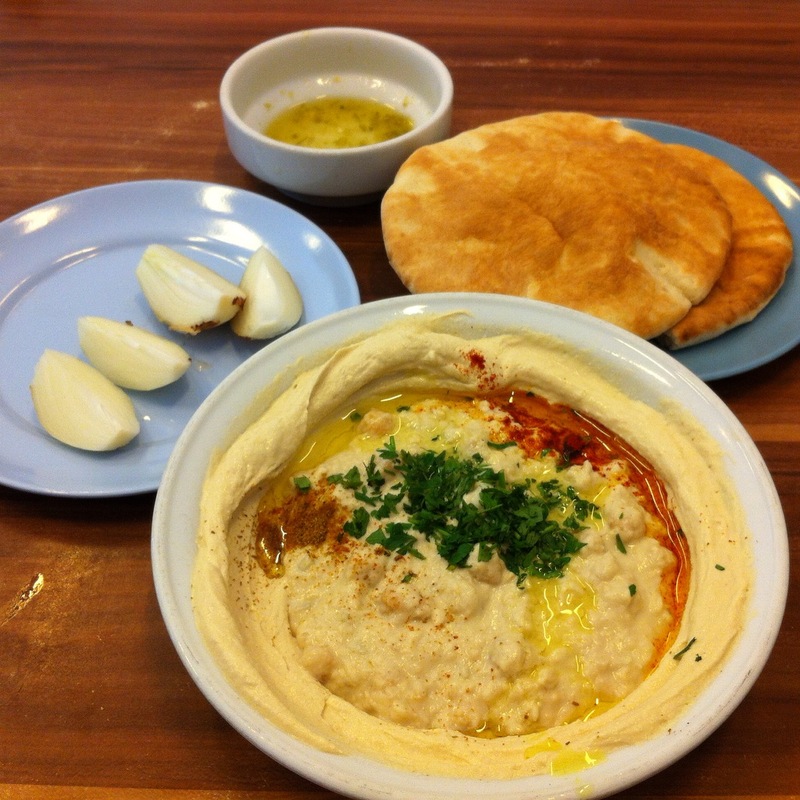 When in Jaffa, as every local will tell you, you must visit Abu Hassan (Shivtei Israel 14, https://www.facebook.com/pages/Abu-Hassan/396398840415380), where the best hummus can be found. 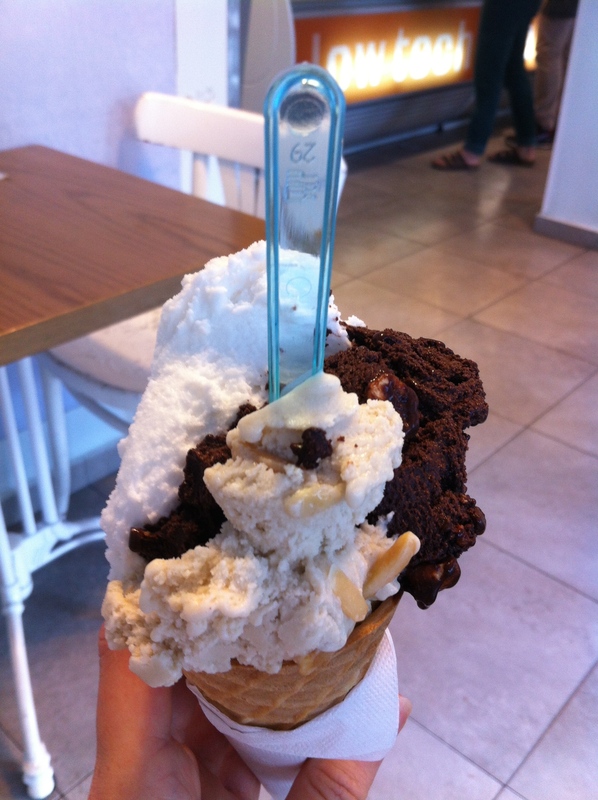 Fresh, creamy and yumm! 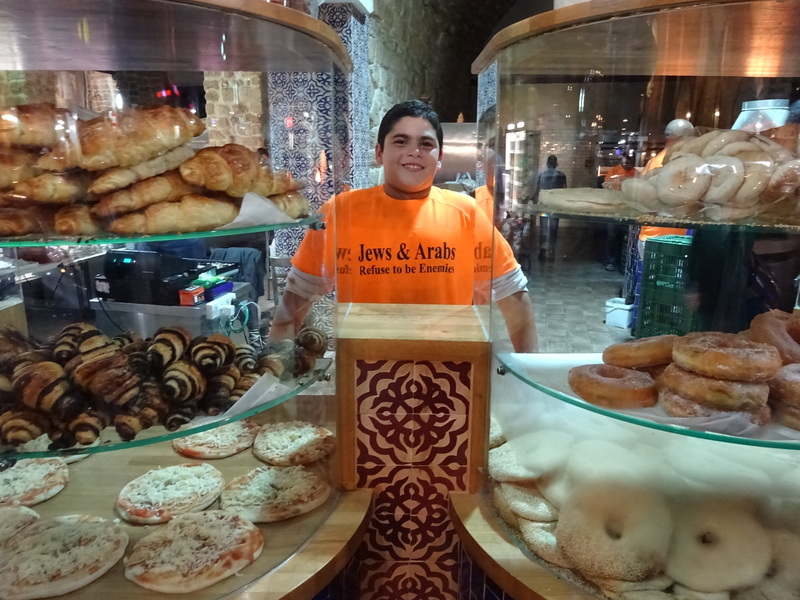 And not far from it is Abulafia (Yefet St 7, https://www.facebook.com/pages/Abulafia-Jaffa/196598050390490, http://www.spottedbylocals.com/telaviv/abulafia-bakery/), where they sell some great sesame pita bread and many more baked goods, some of them vegan. Caféwise, being a big lover of bookstores, I quite liked Bookworm (http://www.bookworm.co.il) at Rabin Square (they only serve soy milk though, which I try to avoid). I never stayed, but just got a drink and hung out on Rabin Square, which is quite lovely in the evenings with the city lights and all the benches and chairs. Another café I only discovered on my last evening is Cafe Landwer (http://www.landwercafe.co.il/?lang=en), where they serve an amazing shake with tahini (the healthy vegan shake). 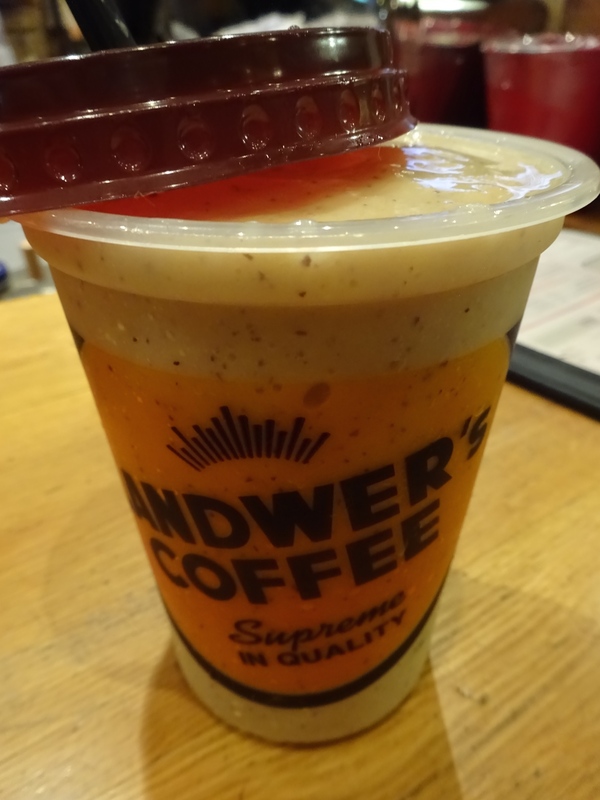 I (or rather my local friend who took me there) asked for almond milk, and it was simply divine (have been trying to copy it already a few times back home). 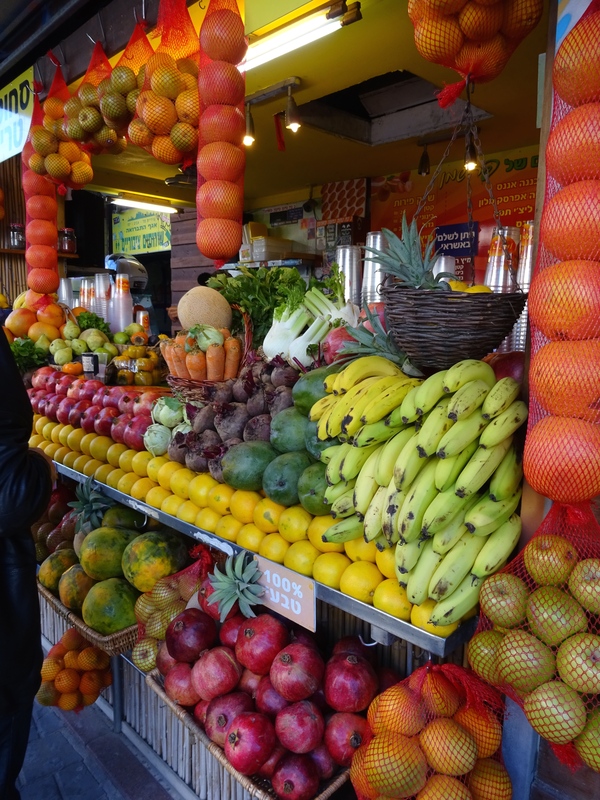 Furthermore, there a stalls with shakes and smoothies all over the city, where I got my daily pomegranate juice. All over the city you find Paletas (popsicles), in all sorts of flavours. 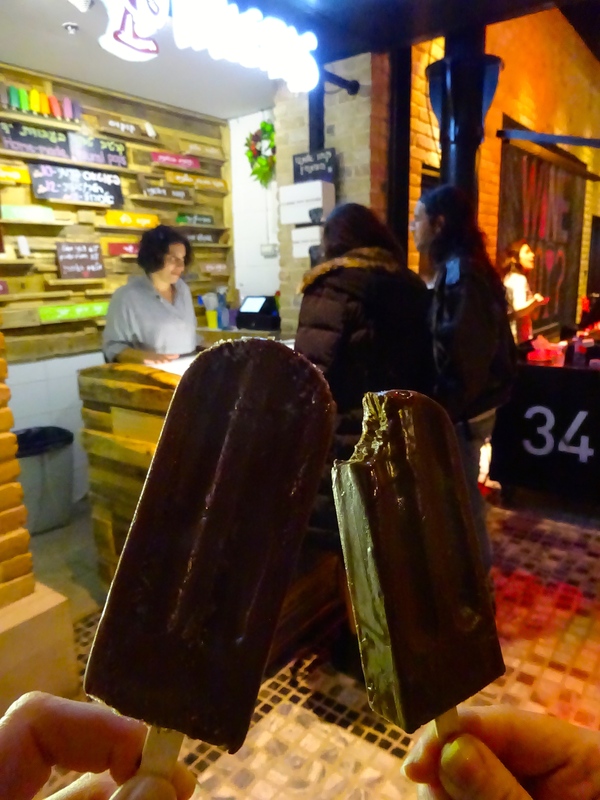 They have a great paleta stall at Sarona Markets (Paletas http://saronamarket.co.il/en/חנויות-ודוכנים/פאלטאס-קרטיב-טבעי), and also Tamara Yogurt (Ben Yehuda St 96 and Rothschild Blvd 19) has a big choice of them, with about 40 % of them being vegan. 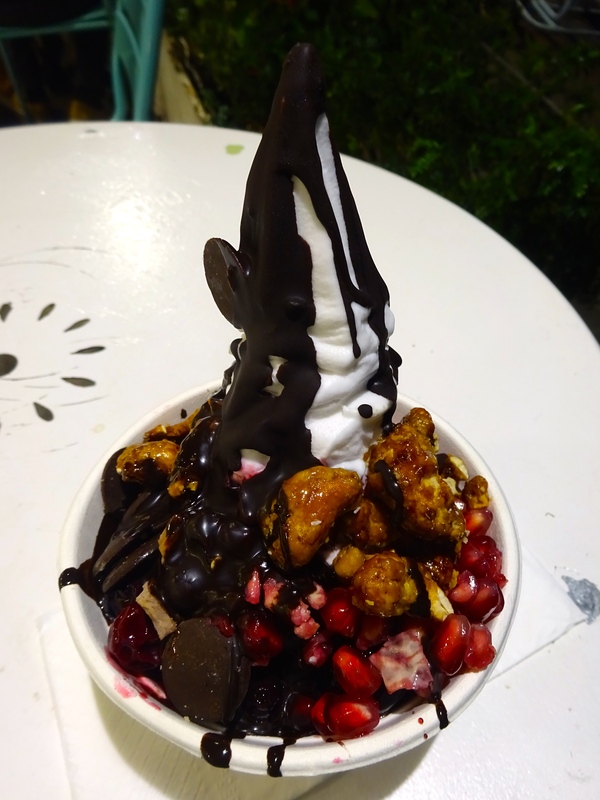 Tamara Yogurt also offers vegan frozen yogurt with coconut or acai flavour. and all sorts of toppings. 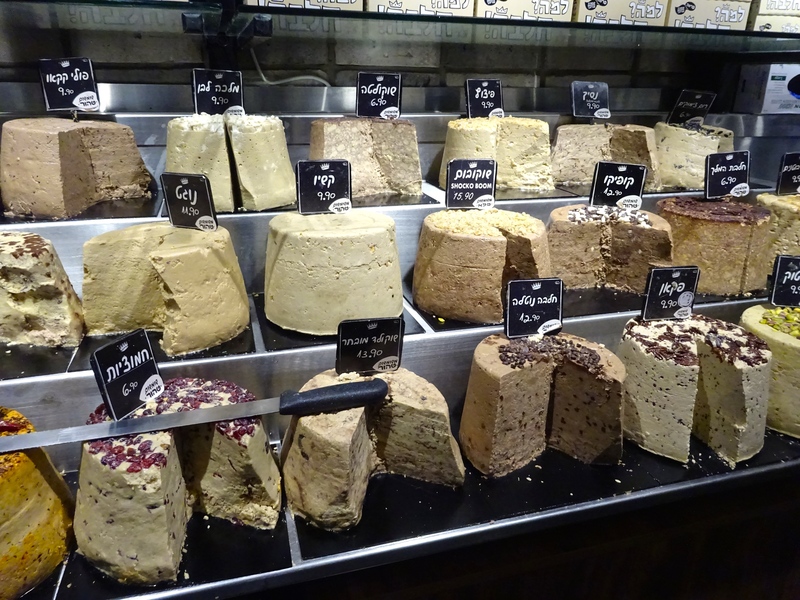 At Sarona Markets, you can also find Halva Kingdom with lofs of different flavours of halva (80 % sesame, 10 % sugar and 10 % flavour if I remember correctly) – the perfect vegan treat if you don’t mind all the sugar. 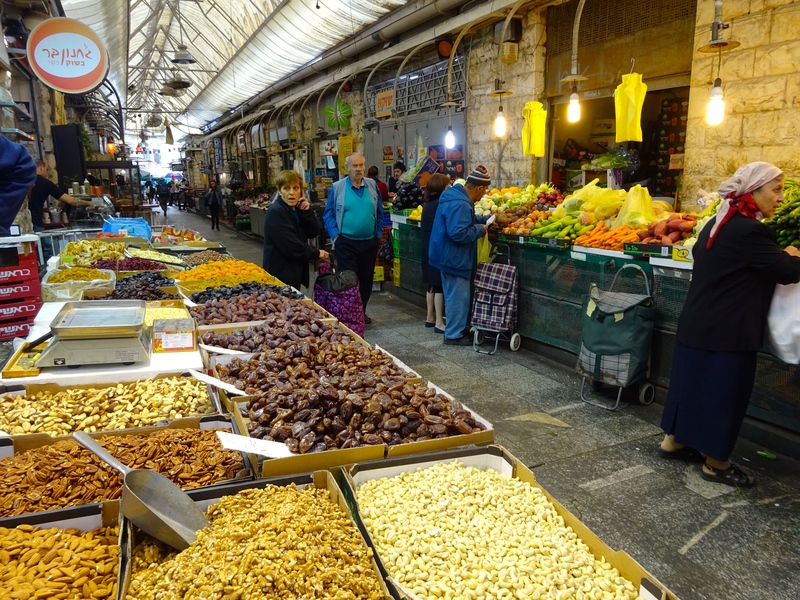 Of course, you find halva all over Israel. 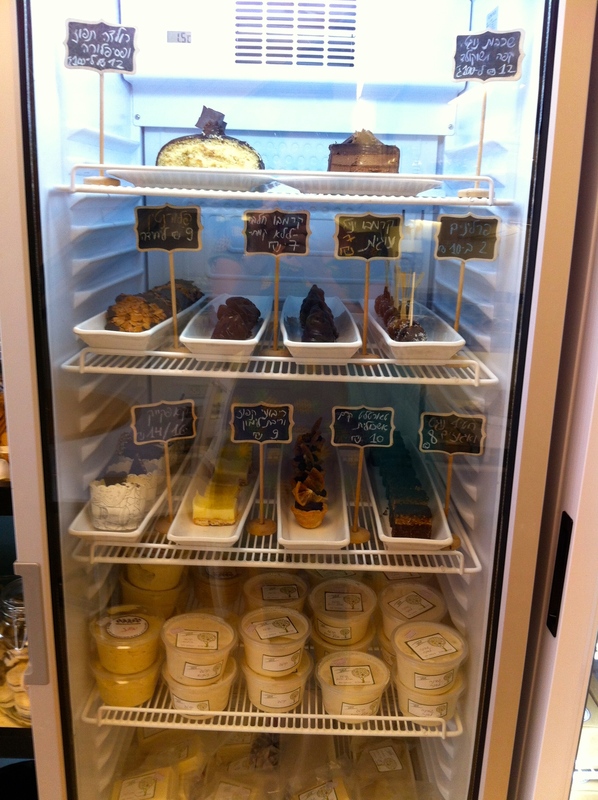 Another ice cream parlour with quite a choice of vegan ice cream is Iceberg (https://www.facebook.com/pages/Iceberg/121660404568715) that you find in different locations. 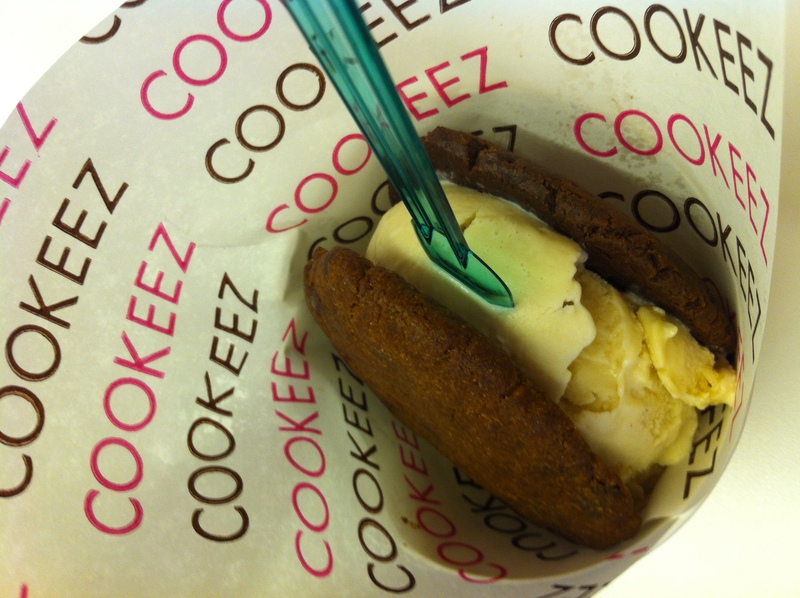 At Cookiez (https://www.facebook.com/cookeezTLV/), you can choose from two different kinds of vegan cookies and three vegan ice cream flavours to go in-between. 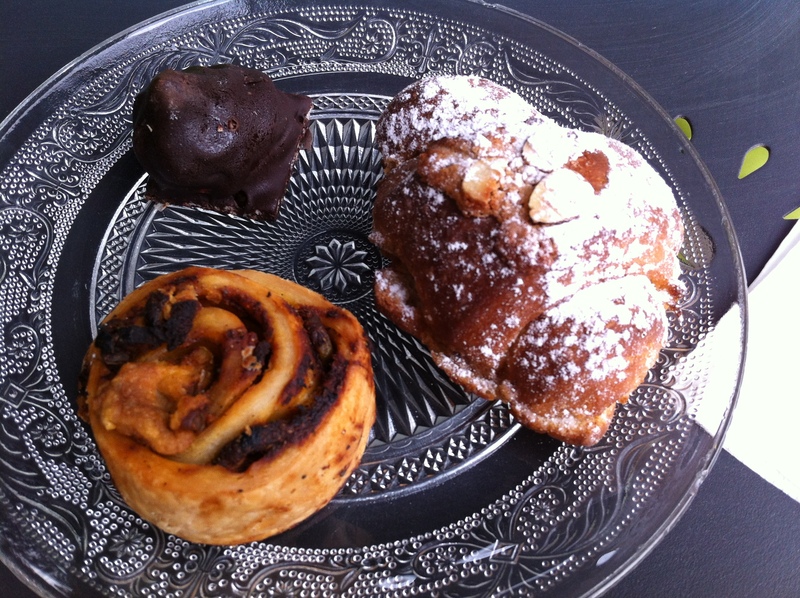 There is also a vegan tour available (https://www.facebook.com/TLVEG-TOURS-1609920955960011/). I would have loved to do it, but, careful, they don’t always run the tour. So check with them before you go to the meeting point. A nice vegan place a friend took me to in Jersusalem was Pasta Basta (http://pastabasta.co.il/our-menu/), where they make all their pasta in-house and the vegan pasta comes in lovely pink. 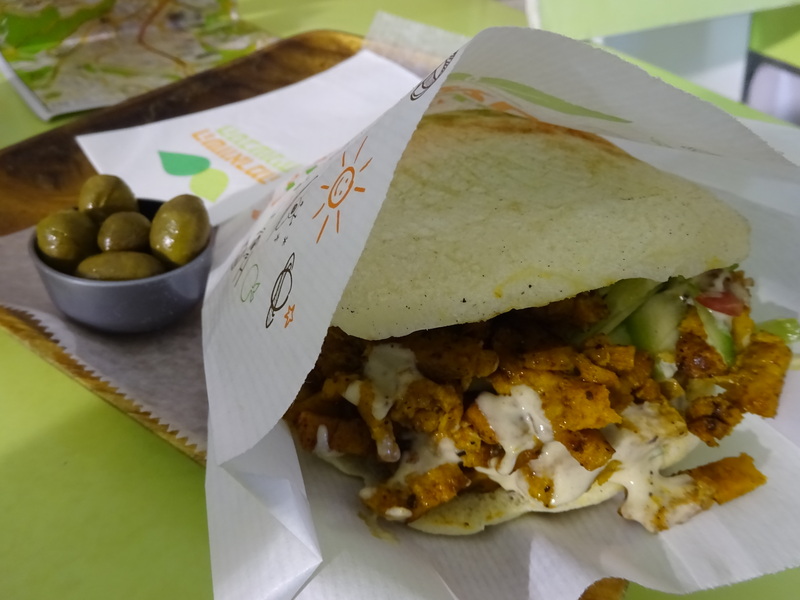 Tel Aviv most definitely is a great place for vegans. It never happened that I went somewhere and they didn’’t know what vegan means or didn’t have at least one vegan dish and soy milk. Even at the airport, you can find several vegan options, which usually isn’t the case. 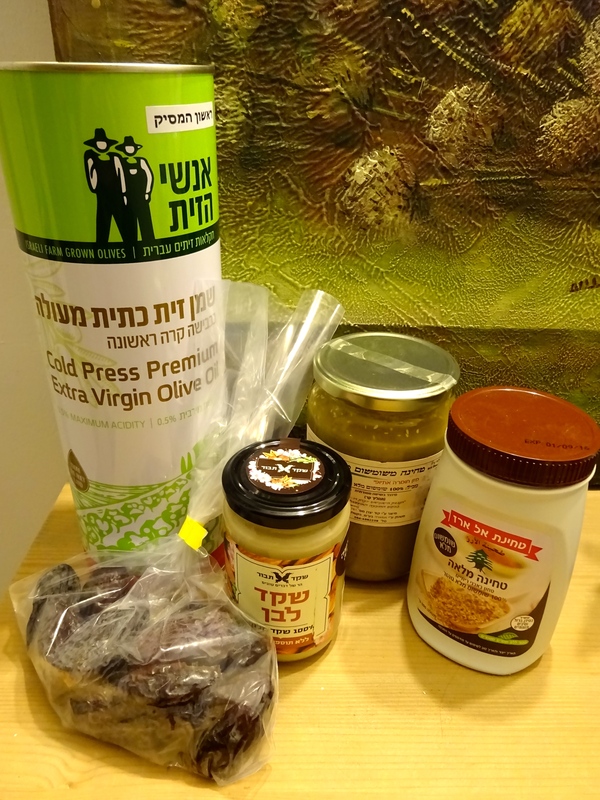 Israel also produces many of the products I regularly use at home. So it’s a good place to stock up on high quality olive oil, tahini, almonds and almond butter, medjool dates or date syrup.